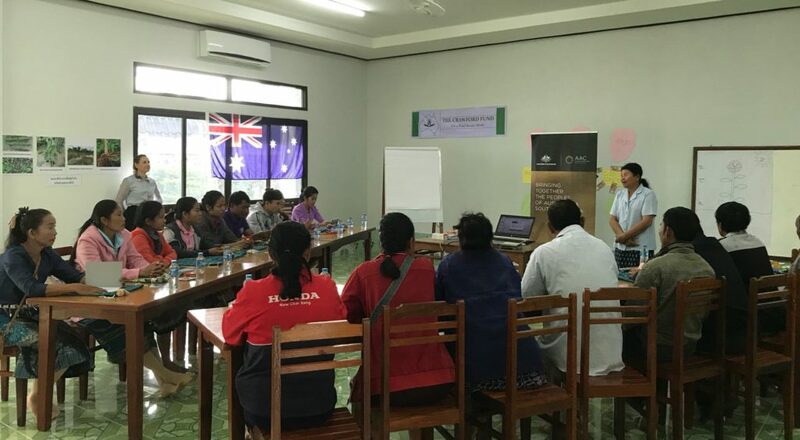 In November, two AUSTRALIA–ASEAN Council and Crawford funded residential workshops for smallholder farmers, mainly women, were held in Lao PDR. The farmers were trained on ‘Integrated Management of Pests, Diseases and Weeds of Watermelons and Vegetables’, and represents a significant milestone in the Crawford Fund’s capacity building program in Lao PDR since 2009. Dr Phoudalay from Thasano research farm welcomes the 19 farmers from Savannakhet province to the workshop on plant health, biosecurity & safer use of pesticides. The Crawford Fund sponsored the pilot residential workshop in 2016, and the development of a pesticide training module for the workshop program, with endorsement from the Department of Agriculture, Lao PDR, will lead to new and novel training initiatives at village level. The smallholder farmers who participated in the workshops provided valuable insight into the key issues concerning pesticide use and safety and will now help with training at village level. Their invitations to present at village level are a significant outcome, with the first village workshops planned for February, 2018. Special thanks for the wonderful support of Dr Phoudalay Lathvilavong, Director, and the staff at the Thasano Rice Research and Seed Multiplication Centre in Savannakhet, our hosts for the workshops. The training facility, hostel, cafeteria and vegetable garden all contributed to successful workshops. Thanks also to the Savannakhet Provincial Agriculture and Forestry Office for your support, especially Mr Khamseng S. Phapmixay, and the Champasak Provinicial Agriculture and Forestry Office, especially Mr Somlit Vilavong. The Crawford Fund, among other funders, have provided consistent support for capacity building in Lao PDR since 2009, with over 40 e-mentors in five countries who provide scientific advice and support. Key e-mentors have also presented workshops, and helped with surveys in-country, and associated diagnostic research. 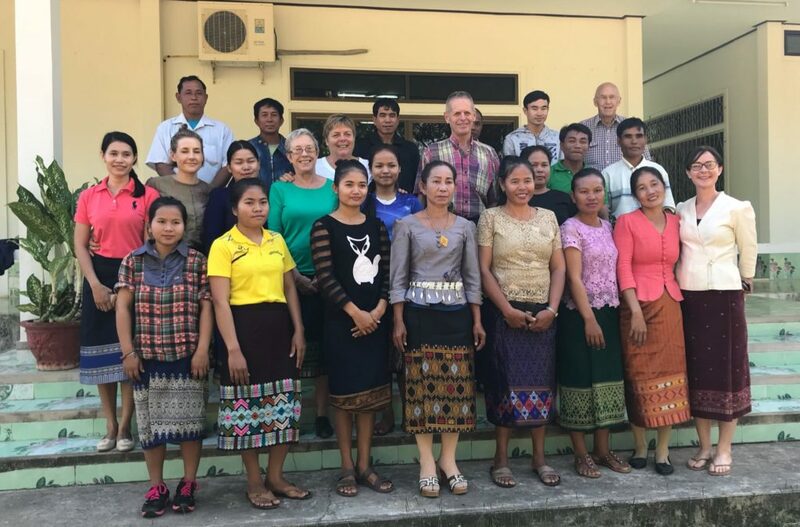 The Crawford Fund recognizes the contributions to building the knowledge base on pests, diseases and weeds in Lao PDR, and the integrated management strategies – supporting the ‘Farmers’ First’ motto. Lead mentor Lester Burgess with the training group of smallholder farmers. The successful introduction of the pesticide module was made possible by the intensive efforts of Gerry Duckett, and Sengphet Phantavong (Champasak PAFO). Over a short time-frame, with inputs from smallholder farmers who helped to identify the key issues, the team researched the modern pesticides now available in the larger towns.